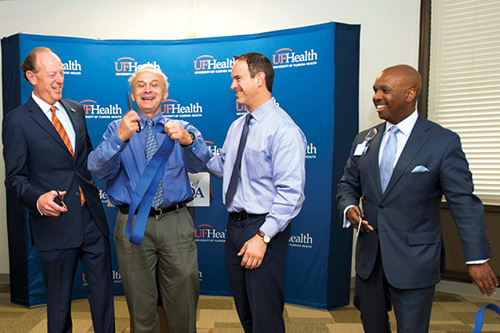 A groundbreaking research facility that will focus on aging studies has opened on the campus of UF Health Jacksonville, bringing another vital health resource to the region’s premier academic medical center. as JAX-ASCENT. The center will serve as a hub for behavioral, nutritional and pharmacologic clinical trials targeting older adults, particularly racial minorities and people of low socioeconomic status. Researchers will also study social determinants of health that contribute to chronic diseases and functional decline within those demographic groups. Organizers are using a five-year, $3.6 million award from the National Institutes of Health to develop the center, which is housed in the Professional Office Building at 1833 Boulevard St., Jacksonville. Space renovations began in December and wrapped up in March. ages 60 and over are invited to join the registry that will help propel research. 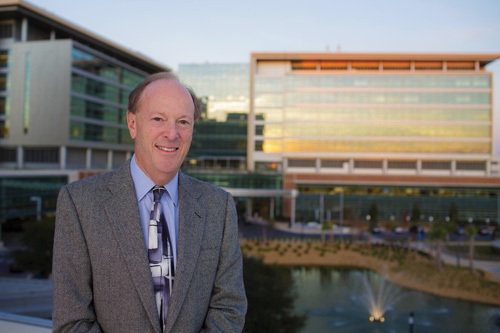 dean of the UF College of Medicine – Jacksonville. clinical research, making it more difficult to develop the best prevention and treatment approaches to assist them. residents who fall into those demographic groups.